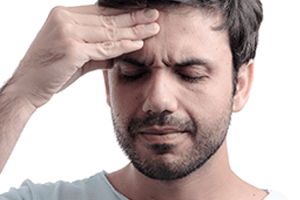 Is Sinus Pain Affecting Your Quality of Life? Nasal Drainage. Sore Throat. Cough. You know all the symptoms. You’ve been suffering for months, or even years. 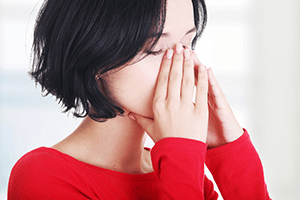 Painful sinus swelling is known as sinusitis, and it can be a persistent, chronic condition. When swelling occurs, the sinuses are blocked, preventing drainage, which can lead to viruses, bacteria and fungus growth inside the sinus cavities. At Lubbock Sinus Doctor Adult & Pediatric ENT, we believe in a unique, patient-centered approach to Ear, Nose and Throat treatment. This begins with patient education. There are three types of sinusitis: acute, chronic and recurrent acute. Texas Sinus Sufferers: What's Your Sinus IQ? Sinusitis affects over 35 million Americans every year. Balloon Sinuplasty may be the right answer for you! Acute sinusitis symptoms endure for 10 to 12 days and resolve in four weeks or less. When symptoms persist beyond 3 months, this is known as chronic sinusitis. Symptoms can include persistent nasal discharge, post nasal drip, coughing, puffy eyes upon waking, and bad breath. When you experience four or more episodes of sinusitis in a single year, you are suffering from recurrent acute sinusitis. You are trapped in a cycle of outbreaks followed by periods of relief, over and over. End the cycle of chronic sinusitis and infections. You don’t have to live in a state of misery. Relief is possible. "The procedure affected my quality of life in a positive way." Following the procedure, I was able to sleep so much better than prior to the procedure. I remember waking up with a refreshed feeling and feeling like I actually had energy. The procedure affected my quality of life in a positive way. It just gives you an overall sense of well-being and happiness.